A food hub is a facility that centralizes the business management structure to facilitate the aggregation, storage, processing, distribution, and/or marketing of locally/regionally produced food products. 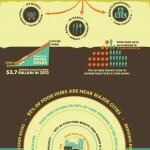 Recently, there has been a flurry of interest in food hubs. What are they? Should our community develop one? How do we get started? These are a few of the common food hub questions being asked in Wisconsin’s urban and rural communities.